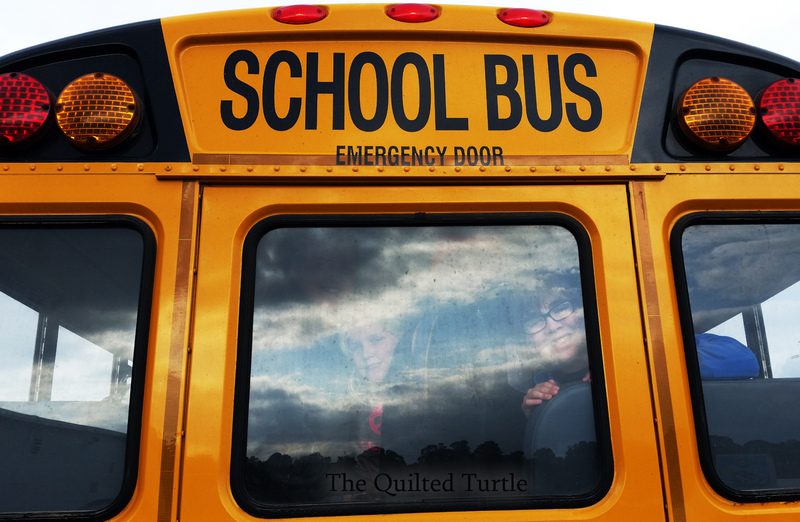 The Quilted Turtle: Field Trip! If you look closely you'll see two very happy kiddos in the back window of that bus. 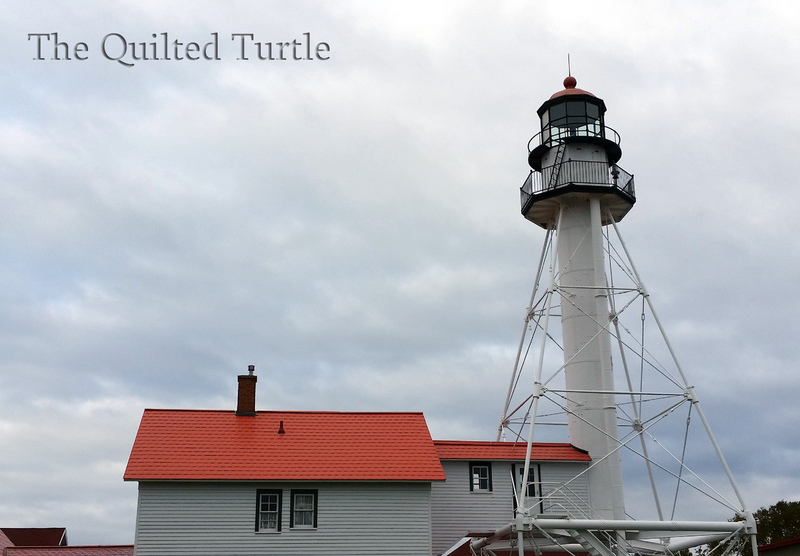 They were happy because on Friday the Island's elementary kids went on a field trip. 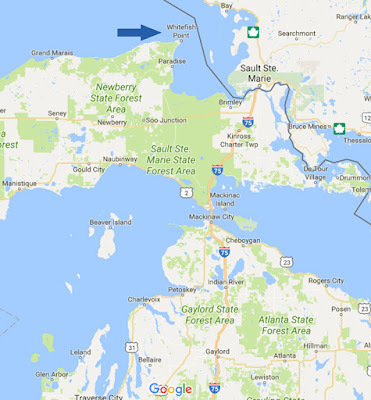 Our first stop was the Great Lakes Shipwreck Museum at Whitefish Point. 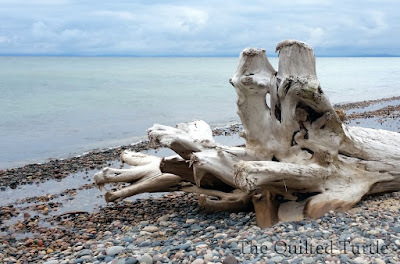 Right on the shores of Lake Superior. 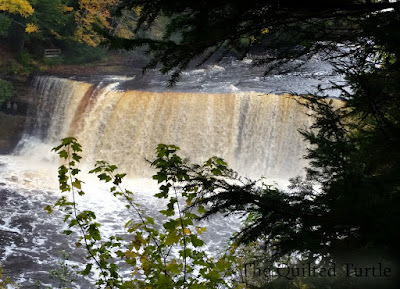 After we explored the museum and the looked for rocks, we headed south to Tahquamenon Falls. 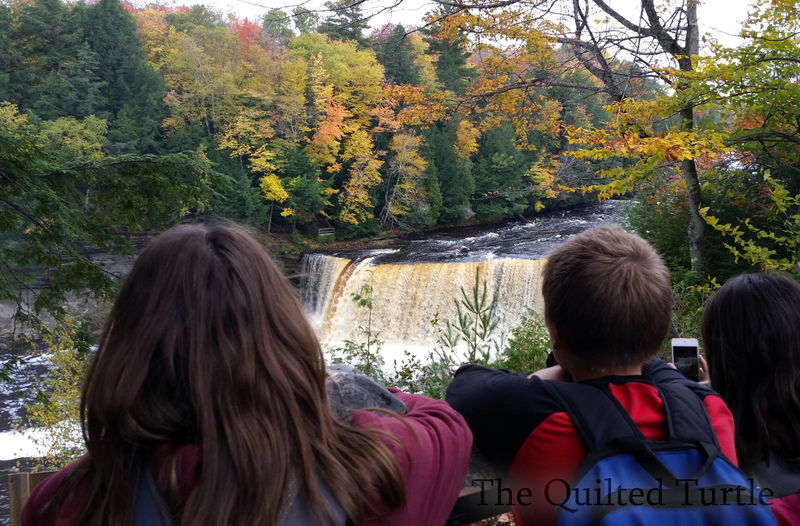 It was a beautiful spot for a picnic lunch, and, of course, we had to explore the falls. The kids wanted to stay longer, but we had a long trip home. Looks like a great trip. I like the Lighthouse.